Recipe submitted by Marilyn Hughes Gaston, M.D., Former Assistant Surgeon General. Get a great start to the day for the entire family. There are just enough cinnamon and almonds to get your family going in the morning. 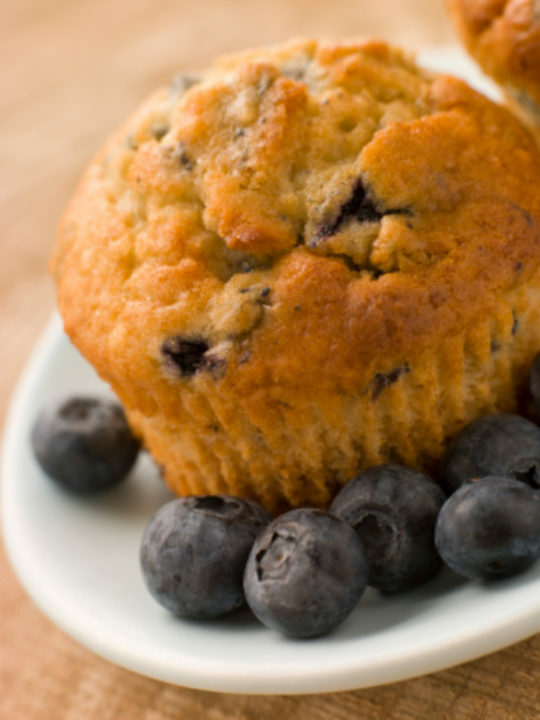 Consider making these muffins on Sunday morning ... make enough to freeze and pop out for a mid-week treat. Lightly coat cups of a 12-cup muffin tin with canola oil. In large bowl, combine flours, baking powder and salt. In a medium bowl, combine egg, milk, yogurt and oil. Add sugar and mix well. Pour egg mixture into dry ingredients and stir until all ingredients are moistened. Add fruit and stir until just mixed. Fill each muffin cup with 1/4 cup batter, sprinkle each with optional walnut pieces, then bake for 15-20 minutes or until muffins are golden and toothpick inserted into center comes out clean.